These two words may seem simple, but the ability to express them when you’re in the wrong is anything but – particularly for those in the public eye. Virginia Gov. Ralph Northam, to name a recent example, was forced to apologize after his 1984 medical school yearbook page resurfaced showing two unnamed men, one with blackface and another wearing the Ku Klux Klan’s white hood and robe. That he seriously botched his effort to apologize is arguably one of the reasons many people are still calling on him to resign. As a language scholar, I wanted to get to the bottom of just what makes an apology effective by analyzing dozens of mea culpas. While some offered authentic apologies, many more seemed defensive, insincere or forced. With the help of insights from linguists, psychologists and business ethicists who study apologies, I found that there are three main elements each needs to have to be effective. Much is at stake with a public apology. When done right, it can rebuild trust and restore a damaged reputation. However, a poorly crafted apology can lead to widespread criticism and further damage credibility. Research shows that the way a company crafts an apology can even affect its future financial performance and that leaders who apologize tend to be viewed more favorably than those who don’t. In “When Sorry Isn’t Enough: Making Things Right with Those You Love,” Gary Chapman and Jennifer Thomas cite a survey of what people preferred most in an apology. It found that almost four-fifths wanted their would-be penitent to either express regret or accept responsibility, as opposed to make restitution, repent or seek forgiveness. In 2011, David Boyd, now dean emeritus at Northeastern University’s D’Amore-McKim School of Business, identified seven strategies that make public apologies effective. I believe three of them – revelation, responsibility and recognition – are the most significant because they overlap with those identified by prominent scholars in other fields, including linguists Andrew Cohen and Elite Olshtain and psychologist Robert Gordon. That is, an admission for the lapse using the words “I am sorry” or “I apologize,” ownership for the offense and empathy for those who have been hurt all contribute to an effective apology. But it’s not enough for an apology just to contain these three ingredients. It’s also about the exact wording used. This may seem obvious but sadly isn’t: Any respectable apology must include an actual apology with a specific acknowledgment of what was done. Surprisingly, some people attempting to own up to something never get around to actually apologizing. Comedian Louis C.K., for example, never actually used words like “apologize” or “sorry” after being accused of sexual misconduct by several women. He called the stories “true” and said he was “remorseful” but dodged the actual apology. Others try to apologize in a general way to avoid being pinned down to a specific transgression, weakening the impact. Or they may admit to a lesser offense. A case in point is Apple’s non-apology apology in December 2017 over the performance of iPhone batteries. Was Apple apologizing for the poor-performing batteries, its communication process or the feelings of its customers? Distancing the actual apology from the transgressions is a common tactic in corporate apologies, used in recent years both by Airbnb and Uber as well. Any well-crafted apology must claim responsibility for the transgression – not attribute one’s actions to happenstance or external factors. Amid the Cambridge Analytica scandal, Facebook CEO Mark Zuckerberg used the passive voice to distance himself from any wrongdoing: “I’m really sorry that this happened,” he said in an interview to CNN. The choice of the passive suggests that he has little control over the ways his work was used by others. By including himself as one of several people and embedding his actions as part of a broader group’s actions, he minimized responsibility for his own transgressions. Others simply try to deflect attention from the transgression as part of an apology, as actor Kevin Spacey did when he announced his sexual orientation or like disgraced media mogul Harvey Weinstein’s vow to direct his anger to the National Rifle Association. Finally, apologies should meet the standard of recognition: expressing empathy to those who have been hurt. Many so-called apologies fail to acknowledge victims’ feelings, focusing instead on justifications or excuses. For example, actor Henry Cavill apologized for his controversial statements about the #MeToo movement by saying he’s sorry for “any confusion and misunderstanding that” his comments created. In doing so, he insinuated that there was no transgressor or victim, as more than one party is typically to blame for a misunderstanding. Furthermore, those last four words show that he’s focusing on his own growth, rather than the pain of his victims. Returning to Northam, his apology failed to live up to all three strategies. After initially accepting that one of the men was him, he quickly reversed himself, expressing contrition while distancing himself from the racist photo. And then his apology included the vague wording “for the decision I made to appear as I did,” which hardly constitutes a worthy admission of wrongdoing. Referring to his actions as “this” rather than “my” minimizes ownership. And rather than accepting responsibility, he pleads with the public not to let his past behavior shape how they see him. So if you’re finding it difficult to parse the multitude of public apologies in the mainstream media, look closely for these three ingredients, along with the language each uses. My most recent publication can be accessed below. It deals with the way in which ethnicity is socially constructed and its role in theories of communication and ethnic conflict. Below the link for the article is a brief abstract. Polling in the Palestinian territories demonstrates a dissonance between public and governmental opinions regarding peace and statehood. It’s always good to get reliable data out of the Palestinian territories and some fresh data is reported below. There are some interesting results and the next post will expand on the interpretations. Two surveys conducted by different Palestinian pollsters in October show unexpected popular flexibility on core issues of an eventual peace deal with Israel, despite widespread skepticism among Palestinians about current prospects. These findings suggest that American, Israeli, and Arab policymakers should all pay more attention to what the Palestinian people really want and less attention to what their politicians or partisans say they “should” want. The most startlingly moderate and unequivocal results from these two surveys center on this issue, which are based on not just one or two but a whole battery of related questions. This moderate view is especially strong in Gaza, where most residents are themselves descendants of the Palestinian refugees. Attitudes on these questions are also relatively moderate, though more mixed, in the West Bank. West Bankers are approximately evenly split on the suggestion that refugees not enter Israel: 48 percent would accept this suggestion, though 52 percent are opposed. But a mere 5 percent say they would probably move to Israel even if they could. Moreover, two-thirds would accept the permanent resettlement of diaspora Palestinians in the West Bank or Gaza even if their families originated inside Israel. Expectations regarding refugee resettlement are even more modest than the preceding preferences, especially in the West Bank. Both surveys show that a solid majority of West Bankers think that “regardless of what’s right, the reality is that… most Palestinians will not return to the 1948 lands.” Gazans agree, but by a narrower majority—61 percent in one poll; 54 percent in the other. On this issue, Palestinians are again significantly more open than the public positions of their political leaders would imply. If Israel “recognizes an independent Palestinian state and ends the occupation of the West Bank and Gaza,” the percentages of Palestinians who would accept Israel as “the state for the Jewish people” are as follows: Gaza, 55 percent; West Bank, 36 percent; and East Jerusalem, 60 percent. In sharp contrast, PA leaders from President Mahmoud Abbas on down have consistently emphasized that they will “never” agree to any such formulation. Hamas persistently states that it will never recognize Israel at all, let alone its Jewish character. In so saying, both governments are taking a much more rigid stance than is expressed by many of their own people. This essential (but rarely posed) question asks if a two-state solution should either (a) “end the conflict and open up a new chapter in Palestinian history,” or (b) “not end the conflict, and resistance should continue until all of historic Palestine is liberated.” West Bankers pick “end the conflict” by a sizeable margin, 50 to 37 percent, with the remainder responding “no opinion.” Meanwhile, Gazans are almost evenly split: 47 to 49 percent. East Jerusalem Palestinians, who maintain everyday contact with Israelis, decisively choose “end the conflict,” by a margin of 73 to 22 percent. Related to this long-term question is a more immediate issue: should Hamas “stop calling for Israel’s destruction, and instead accept a permanent two-state solution based on the 1967 borders?” Results are clearest in Gaza, where two separate polls show that more people favor than oppose this radical, peaceful policy shift. West Bankers are also clearly supportive in one poll by a margin of 58 to 30 percent; the other poll, with a slightly larger margin of error, shows a narrow majority opposed. On this issue, however, East Jerusalem Palestinian opinions trend in the opposite direction: 36 percent say Hamas should accept peace with Israel, but more—47 percent—say that it should not. An unusually high proportion, 17 percent, refuse to answer the question. This surprisingly divided picture may reflect the growing presence or appeal of Hamas among East Jerusalem Palestinians, many of whom feel neglected by both Israel and the PA. These findings are based on personal interview surveys conducted by two different reputable Palestinian pollsters during the period of October 3-19, 2018, using standard geographic probability sample techniques. One poll comprised a representative sample of 732 West Bank and East Jerusalem Palestinians and 468 Gazans, yielding margins of error of approximately 3.7 and 4.1 percent respectively. The other poll, conducted by the Palestine Center for Public Opinion based in Beit Sahour in the West Bank, comprised representative samples of 500 each in the West Bank, Gaza, and East Jerusalem, yielding margins of error of approximately 4 percent in each territory. Full methodological details are available on request. David Pollock is the Bernstein Fellow at The Washington Institute and director of Project Fikra. The recent monthly Peace Index of the Israel Democracy Institute and Tel Aviv University, published in September 2018, finds that half of the Jewish Israeli public thinks that Palestinians deserve an independent state, while (43%) think they do not. Analysis of the Jewish sample by age shows that support for a Palestinian state increases with age: among those aged 18-34 only a minority (35%) supports the Palestinians’ right to a state, 54% of those aged 35-54 support it, and in the oldest age group a 61% majority supports it. Arab-Israelis believe unanimously (94%) that Palestinians are entitled in principle to an independent state of their own. 47% of Jewish-Israelis support signing an agreement based on the formula of two-state solution while 46% answered that they do not. Among Arab-Israelis, 73% support such an agreement. 83% of Jewish-Israelis thinks that “the Palestinians must recognize Israel as the nation-state of the Jewish people before peace talks with them can be revived.”66% of Jewish-Israelis agree that “most of the Palestinians have not come to terms with Israel’s existence and would destroy it if they could.”This rate has remained more or less constant, with slight fluctuations, since the first Peace Index survey was conducted in June 1994. Palestinian sovereignty – will be declared and respected. Mutual recognition – Israel shall recognize the State of Palestine. Palestine shall recognize the State of Israel. Mutual diplomatic relations – Israel and Palestine shall immediately establish full diplomatic relationships with each other, installing ambassadors in the capital of the respective partner. Capital – each state is free to choose its own capital. Borders– These should be reasonable and logical for both sides. Settling the conflict would give Israel greater international legitimacy to fight terrorism and enable it to deal with the more serious emerging threat from Iran. Israel will withdraw to the Green Line, evacuating settlements and resettling the settlers in other parts of the country. The major settlement blocs — Ma’ale Adumim, Givat Ze’ev, Gush Etzion, Modi’in Illit and Ariel –- which account for approximately 70% of the Jewish population in the West Bank and for less than 2% of its size, may be annexed to Israel upon reaching an agreement with the PA of territory exchange that will be equal in size.Border adjustment must be kept to the necessary minimum and must be reciprocal. Territorial contiguity– a corridor would connect the West Bank and the Gaza Strip to allow safe and free passage. As long as peace is kept, the road will be permanently openand solely Palestinian. No Israeli checkpoints will be there. Palestinians will not be able to enter Israel from this corridor, nor shall Israelis enter Palestine from the corridor. Palestine will ensure that this safe passage won’t be abused for violent purposes. Such abuse would undermine peace and trust between the two parties. The Separation Barrier creates a political reality. It should run roughly along the 1967 mutually agreed borders. Security– Both Israel and Palestine will take all necessary measures to ascertain that their citizens could live free of fear for their lives. Security is equally important for both Israelis and Palestinians as this is the key for peace. Palestine and Israel shall base their security relations on cooperation, mutual trust, good neighborly relations, and the protection of their joint interests. The Palestinian state will be non-militarized. This issue was agreed upon in 1995. Also agreed upon were joint Israeli-Palestinian patrols along the Jordan River, the installation of early warning posts, and the establishment of a permanent international observer force to ensure the implementation of the agreed security arrangements. The early warning posts will be periodically visited by Israeli security officers but they won’t be permanently present on Palestinian soil. If there is a need for a permanent presence, this would be trusted to an agreed-upon third party. Terrorism and violence– Zero tolerance in this sphere. Both sides will work together to curb violence. Both sides will see that their citizens on both sides of the border reside in peace and tranquility. Zealots and terrorists, Palestinians and Jews, will receive grave penalties for any violation of peace and tranquility. Jerusalem– What is Palestinian will come under the territory of the new capital Al Kuds. Al Kuds would include East Jerusalem and the adjacent Palestinian land and villages. Abu Dis, Al-Izarieh and Al-Sawahreh will be included in the Palestinian capital. The Israeli capital would include West Jerusalem and the adjacent Israeli settlements. To maintain Palestinian contiguity, Israel may be required to give up some of the settlements around Arab Jerusalem. The Old City will be granted a special status. Special arrangements and recognition will be made to honour the importance of the Western Wall and the Jewish Quarter for Jews, and similarly special arrangements and recognition will be made to honour the importance of the Islamic and Christian holy places. The Old City will be opened to all faiths under international custodianship. There will be Israeli-Palestinian cooperation in providing municipality services to both populations. Haram al-Sharif– On March 31, 2013, aJordan-Palestinian agreement was signed between the PA and Jordan, entrusting King Abdullah II with the defense of Muslim and Christian holy sites in Jerusalem.While Jordan may be a party to any agreement concerning the site, a broader arrangement is welcomed. As agreed by Abbas and Olmert, it will be under the control of a five-nation consortium: Palestine, Israel, Jordan, Saudi Arabia and the United States. The Waqf will continue its administration. Jews will enjoy right of access. Excavation for antiquities may be undertaken only with the full agreement of both sides. Similarly, alterations to the historical structures and foundations can be made only upon the consent of both sides. Education – Israel and Palestine will institute a shared curriculum on good neighborhood, understanding cultures and religions, respect for others and not harming others. This education program will commence at the kindergarten and continue at primary and high schools. In every age group vital concepts for understanding the other will be studied. This program is critical for establishing peaceful relationships and trust between the two parties. Languages – Starting in primary schools, Arabic will be a mandatory language for pupils to study in Jewish schools. Similarly, Hebrew will be a mandatory language for pupils to study in Palestinian schools. Language is the most important bridge between different cultures and nations. Israelis will master Arabic to the same extent that they presently master English. Palestinians will master Hebrew as their second language. Incitement– Both sides need to clean up the atmosphere, fight bigotry, racism, incitement and hate on both sides of the fence/wall. This includes a close study of the education curricula in both the PA and Israel. Both sides need to overhaul their school books, excluding incitement, racism, bigotry and hate against one another.The curricula should reflect a language of peace, tolerance and liberty. Both sides should utilize the media to promote peaceful messages of reconciliation and mutual recognition. Prisoners– As an act of good will, part of the trust-building process, Israel will release a number of agreed upon prisoners. With time, as trust will grow between the two sides, all security prisoners will return home. Refugees and their right of return– This is a major concern for both Palestine and Israel. For Palestinians, this issue is about their history, justice and fairness. For Israelis, this is a debated issue, where many Israelis are unwilling to claim responsibility for the Palestinian tragedy and most Israelis object to the right of return as this would mean the end of Zionism. The issue is most difficult to resolve as the original refugee population of an estimated 700,000-750,000 has grown to 4,966,664 refugees registered with UNRWA at the end of November 2010. About 40% of the refugees live in Jordan, where they comprise about a third of the population; another 41% are in the West Bank and Gaza, 10% are in Syria, and 9% are in Lebanon. In the West Bank, refugees constitute about one-third of the population while in Gaza they comprise over 80% of the population. Remain where they are. President Donald Trump has started to put pressure on several Arab countries to grant Palestinian refugees living in those countries citizenship. The 1948 Palestinian refugees will be able to settle in Palestine. The rest of the world is legitimate to set immigration quotas for absorbing Palestinians who apply for settlement in their designated choice of country. Unification of families should be allowed in Israel on a limited quota annual scale. But massive refugee return to Israel will not be allowed. This dream should be abandoned. An international tribunal of reputable historians and international lawyers, including equal representatives of Israel and Palestine, will determine the level of compensation. If needed, Israel and Palestine may establish an international relief fund to which humanitarian countries that wish to see the end of the conflict contribute. Termination of the conflict– following the signing of a comprehensive agreement covering all issues and concerns, an official statement will be issued declaring the end of the Israeli-Palestinian conflict. Four Party Permanent Team – Egypt, Israel, Jordan and Jordan will maintain a permanent organization that will meet periodically to discuss concerns and resolve problems amicably. This forum will discuss issues such as the Gaza ports, economic development, water, tourism, security controls along the Jordan River, security concerns in Sinai, counter-terrorism and counter-radicalism. International Arbitration– Difficult issues that won’t be resolved by direct negotiations will be delegated to a special arbitration committee. This special committee will have an equal number of Israeli and Palestinian delegates plus an uneven number of international experts. Only experts approved by both parties will be invited to serve on the arbitration committee. The committee will include lawyers, economists, human rights experts and experts on the Middle East. Their resolutions would be final, without having the right of appeal. Both Israel and Palestine will commit to accept every decision of the arbitration committee. One model to follow might be the arbitration committee comprised to resolve the Taba dispute between Israel and Egypt. To resolve the Israeli-Palestinian conflict there is a need for courageous leaders on both sides who seize the opportunities presented to them and make the most for their peoples. To erect peace, it is essential to have trust, good will and security. It would be far-fetched at present to hope for peace in the short term. We should have little illusions about peace, at least so long as Hamas is determined to wipe Israel off the map. Israel does not even appear on Hamas maps. Israel should aspire to enter a long-term interim agreement; to build trust; evacuate isolated settlements; consolidate economic conditions for Palestinians; bolster security on both sides; stop enlarging existing settlements; dismantle checkpoints to make the lives of Palestinian civilians easier; develop the nautilus Iron Dom against rockets and other anti-rocket mechanisms. Finally, international cooperation is required to lift the existential Iranian threat. See Daniel Bar-Tal, “Challenges for Constructing Peace Culture and Peace Education”, and Salem Aweiss, “Culture of Peace and Education”, both in Elizabeth G. Matthews (ed. 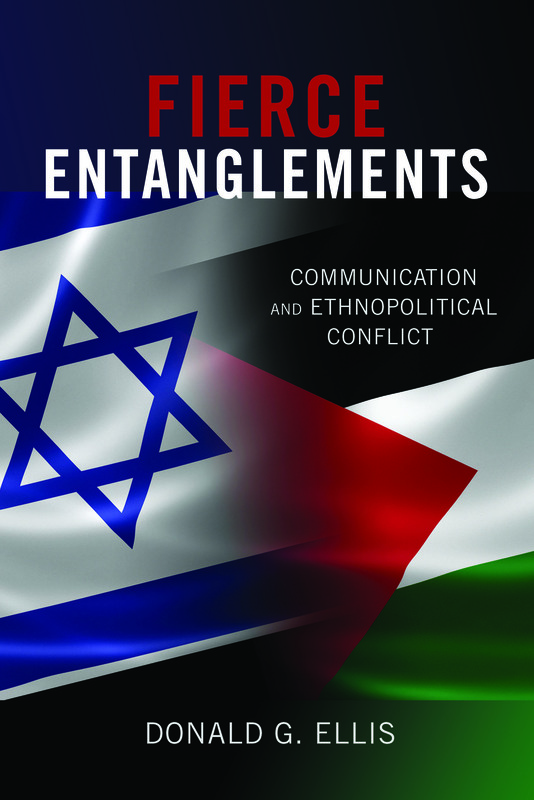 ), The Israel-Palestine Conflict (London: Routledge, 2011): 209-223, 224-246. Alan Dowty, Israel/Palestine(Cambridge: Polity, 2012): 243. The self in identity theory is reflexive and thus can consider itself an object to be named, categorized, and classified. The standard definition of identity as “the psychological attachment to an ethnic group or heritage” is foundational. But the definition must be extended to include ethnic identity not as fixed categorization, but rather as a fluid and dynamic understanding of self and ethnic background. 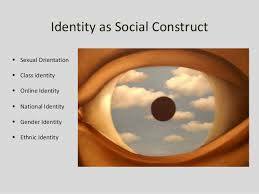 A discursive approach to identity construction locates the key agency in symbolic and cultural systems that have their own effects and logic. For example, the contemporary discourse of ethnicity might include colonialism and its attendant messages. Groups such as Hutus and Tutsis, Continental Indians, or Palestinians have spent a generation or more constructing concepts of the self by refracting messages from colonial powers back onto themselves. Moreover, these supra-messages about power, agency, identity, and control make for a line connecting colonialism to contemporary ethnic violence. Contemporary theories of identity have drifted away from universals based on Western values of independence and individualism, and become more fluid and flexible recognizing porous boundaries and multiculturalism. Political conflict groups compete directly for the dominant and most legitimate identity. Moreover, political conflict and identity are significantly intertwined such that the development of one group identity invalidates the other. That is, this negative interdependence means that the two identities compete directly for political, narrative, and historical acceptance and the success of one disqualifies the other. This is descriptive of the Israeli-Palestinian conflict where both groups narrate a similar history that is ideologically polarized. In the case of intractable conflicts this identity conflict continues from one generation to the next passed on by the discursive apparatus available to groups. Ethnicity is the social construction of an origin story as the basis for a collectivity. The origin story includes claims of territorial rights, physiognomy, and culture. Ethnic groups are “imagined” communities (Anderson, 1991) because they assume a commonality but all members do not interact in the concrete manner of a material community. They are in deep comradeship with vast numbers of people with whom they have no direct contact. Ethnicity is descent-based with membership requirements based on the symbolic practices of defining boundaries, territory, language, and culture. Yet ethnicity can also be based on commonality of experience because it constructs a unity out of differences. Where race assumes the other is fixed and self-evident, ethnicity positions people in historical and cultural context. 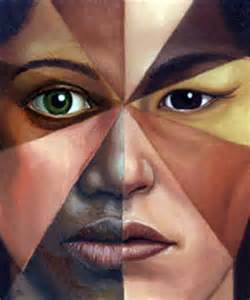 Ethnicity is a set of socially attributed characteristics that have identitive value. Ethnic identity is the result of taking personal experiences and extending them to group experiences. This is how the process of comradeship begins with unknown others. We translate private experiences into the principles of politics. So, one’s upbringing and family are assumed to signify a larger abstract collective. Or if I, and a few people like me, have a particular historical experience then that experience becomes relevant to all others who share something with me. Ideologues in Charge in Israel: What Can Palestinians and Israeli Arabs Expect Next? What does the latest political shift to the Right within Israel’s ruling coalition portend for Palestinians and Israeli Arabs ? Signaled by the May 26th appointment of two-time Foreign Minister Avigdor Lieberman as Defense Minister, this shift to the Right is at present more symbolic than policy-oriented. But in a country where there is a powerful relationship between rhetoric, symbols, and political-military action the situation could change quickly. For Israel’s Jewish majority, not much in their daily lives will change. But for the country’s Arab citizens, who comprise some 20% of the state’s eight million inhabitants, political and military decisions made by a more ideologically-driven government ruled by extreme nationalists will have serious implications. And while it is is too early to predict what the implications will be for the Palestinians — both within Israel proper and within the Territories — one doesn’t need the gift of prophecy to see that the fallout will be negative. In the first few days of this latest shift rightward there were indications of what both the Israeli Arabs and the Palestinians can expect. Netanyahu’s appointment of Lieberman put a governmental stamp of approval on the inflammatory rhetoric and harsh military measures that Lieberman advocates. Lieberman, who served in the Israeli Army as a corporal, replaces decorated general Moshe Yaalon. Yaalon, like almost all of Israel’s previous defense ministers, is a career soldier. Lieberman, in contrast, is a career politician. And Israelis from an array of political parties are wondering if this signals a move away from military professionalism to ideologically-driven decision making. Organizing among his fellow Russian immigrants to Israel Lieberman founded and led his party Yisrael Beiteinu (Israel is our Home) in the late 1990s. Their first campaign slogan was “no loyalty, no citizenship,” a reference to what Lieberman deemed the questionable loyalty of Israeli Arabs. Though outgoing Defense Minister Yaalon was a member of the Likud party, Prime Minister Netanyahu, leader of the party, dismissed him from his post in order to bring Lieberman’s party into an expanded coalition and increase the government’s parliamentary majority. Yaalon, who joined the Likud as a result of his disillusionment with the 1993 Oslo Accords between Israel and the Palestinians, was perceived as ‘tough’ on security issues, but he was very much a pragmatist. Lieberman and his allies on the Right — including the religious right — do not strike observers as either realists or pragmatists, but as ideologues. What was Yaalon referring to in these remarks? His Israeli audience understood that the extremism Yaalon referred to is both the overall escalation of extremist rhetoric within the country, and, more immediately, the support by Lieberman’s secular party and by politicians of Settler-affiliated Jewish parties of extreme violence committed by settlers and soldiers. In March, in an encounter in Hebron, an Israeli soldier subdued and captured a Palestinian fighter who had attacked another Israeli soldier. And after the fighter was subdued he was shot in the head and died. This was contrary to the IDF’s official code of conduct, and the soldier was subsequently charged with the shooting and ordered to stand trial. In April a military court charged him with manslaughter. Though the IDF and its chief of staff have a permanently high approval rating among Israeli Jewish society, Lieberman’s criticism of Eisenkot was widely echoed and supported. Some even wanted to declare the accused soldier a national hero. This was the context within which Yaalon commented to reporters a few days after his resignation that “Israel had lost its moral compass.” By celebrating the action of the soldier, Yaalon implied, Israel was jettisoning its moral code. In Israel one expects a comment of this sort from a spokesperson of the country’s beleaguered Left, but not from a Likud minister. Tibi, a Palestinian physician who has called for an international boycott of Israeli institutions, has long-been a thorn-in-the-side of the Israeli right and the rightward-trending political center. Lieberman’s secular-nationalist party has long-called for Tibi’s expulsion from the Knesset. Tibi describes himself as “Arab-Palestinian in nationality, and Israeli in citizenship” and has directly challenged both Lieberman’s rhetoric and Netanyahu’s emphasis on Israel as the “home of the Jewish people.” Tibi has called on Israelis to conduct the affairs of state as a “state of its citizens” and not as a state that has an ethnic Jewish character. And it is in this unequal confrontation between the supporters of Tibi and the much more powerful supporters of Lieberman and Netanyahu that lies one of the glaring paradoxes and contradictions of Israeli society. Within the borders of ‘official’ Israel, parliamentary democracy of a limited sort still operates. And the Arab citizens of Israel have legal rights — though they are not always honored. 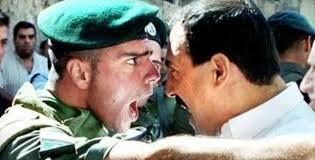 That democracy does not extend into the Palestinian Terroritories and the Golan. Unlike the Israeli Arabs, the Arabs of Gaza, the West Bank and the Golan are essentially stateless in both international and local terms. Under Lieberman’s influence, the army and other arms of the security state will likely be given more leeway and be subject to less civilian control than before. Two factors highlight the essential contradiction between Israel’s claim to be democracy and the actual political situation within the country and the territories it controls: the second-class status of its Arab citizens, and its forty-nine year subjugation of the populations of the West Bank, Gaza and the Golan. These contradictions have long been masked by the illusion that the Israeli occupation is ‘temporary’ and that therefore a two state solution is possible. In the 1970s and �?80s such a solution was rendered difficult by Israeli settlements and the Palestinian response to them, and in the mid-�?90s a possible two-state solution was rendered null and void by the 1995 assassination of Prime Minister Yitzhak Rabin. But illusions die hard, especially for American policy makers. Today, in 2016, the US-driven solution to the outcome of the 1967 War — the much-vaunted two-state solution — looks like nothing but a mirage. The policies of Lieberman and his allies — some of whom are now speaking of Lieberman’s aspiration to become the country’s next prime minister — would seem to confirm this, and doubtless comes as a major disappointment to Arab citizens, Palestinians under Israeli control, and to many Israeli Jewish progressives who have had the courage to stand up for the rights of their fellow-citizens and stateless Palestinians. ISLAMiCommentary is a public scholarship forum that engages scholars, journalists, policymakers, advocates and artists in their fields of expertise. It is a key component of the Transcultural Islam Project; an initiative managed out of the Duke Islamic Studies Center in partnership with the Carolina Center for the Study of the Middle East and Muslim Civilizations (UNC-Chapel Hill). This article was made possible (in part) by a grant from Carnegie Corporation of New York. The statements made and views expressed are solely the responsibility of the author(s). Other web sites and print publications may re-publish this article as long as there is source attribution (author and ISLAMiCommentary) and a link back to ISLAMiCommentary. Comments Off on Ideologues in Charge in Israel: What Can Palestinians and Israeli Arabs Expect Next? Once again given the condition of our political structure and deteriorating relationship between people holding different political opinions we have been hearing a lot more in the news about the civility. Some political figures have stated outright that civility and taking the high road is for suckers. Others recognize its importance. Below is some theoretical and practical advice for improving civility, which is not just “being nice.” It is a significant communicative skill that is directly related to successful resolution of problems. I’m interested in the efficacy of communication and write regularly about how communication works and why it is fundamentally and by definition the best way to elicit change. One of the most important contemporary questions is how differences engage one another; how do individuals and groups with incommensurate realities and significant cultural variation manage their relationship? One way is intergroup dialogue which has been written about but remains an ethereal concept considered by many to be an idealized form of communication that is difficult to achieve. I remain resolute in my conviction to continue to discuss dialogue as a pragmatic and achievable form of communication that is not overly romanticized. Dialogue is a particular type of communication designed to solve problems that require mutuality, cooperation, and change. In these terms – mutuality, cooperation, and change – are not niceties but theoretical requirements. Intergroup dialogue is really about action. It’s about how you collaborate with others across differences with the goal of social justice and problem solving in mind. Solidarity-based communication is that between similar people working on a similar problem. The interaction is cohesive and reinforcing with goals of stimulation and accomplishment of objectives to bring about any desired change. But bridging discourse, as termed by Dryzek, is between people of who are different and trying to find ways to manage the differences between them, trying to reach across information, cultural, and intellectual divides. Most important dialogue struggles with bridging discourse and it is of course the most difficult. There are a variety of perspectives and approaches to dialogue, but one of the most thoughtful and theoretically well-developed perspectives is critical-dialogue as described by Nagda, Gurin, and others. These authors have identified four communication processes that are particularly important and pertinent to the dialogic process. Each of these four is required and part of the challenge of establishing conditions for successful dialogue. You can read more about these processes here. Engagement: This is primarily the requirement that dialogue be taken seriously and individuals be personally involved and committed. These are not the conditions for social loafing; dialogic contact with somebody of difference, when the problems are real and significant, needs the participants to engage in the full range of committed communication. Participants must take risks, assert themselves into the story, and do the hard work of listening empathically as well as critically without overweighting one. Appreciate differences: Politics is essentially the management of differences. Solving problems in general conflict resolution is the same. Differences are fundamental and the goal is not to eliminate them but to manage them. For this reason, an appreciation for differences is crucial. Democracies in particular use the communication process to manage differences. There is simply no peaceful resolution to problems without understanding the perspective of others, creating trust across differences, and even trying to participate and when appropriate adopt differences. Again, the goal is not simply the aesthetic appreciation of differences but the pragmatic issues of empathy, understanding, and the ability to argue and communicate in a manner that resonates with the other. Critical reflection: Again, the unreflective and rigid presentation of self is always limited by the boundaries of the self. Critical reflection is the ability to examine one’s own assumptions including finding those places characterized by bias, stereotypes, and distortions related to how the other is perceived including unfair sources of power and manipulation. Any genuine attempt to solve problems requires participants to think critically about their own patterns of communication and thought processes. Moreover, participants in dialogue must be able to recognize the sources of bias and inequality in both themselves and others but in particular themselves. One could think that democracy is lost. The populists are on the rise; not only in Germany or Europe but in the entire world. This is the picture that is often drawn by the media and Mark Warren, Professor of Political Science at the University of British Columbia, Canada, says this too. This is the „fear“ part of democracy and one which is sadly often the one more present in our minds. So what is the „hope“ part of democracy? To discuss this question, how we can combine representation and participatory innovations, four professors from four different countries came together and took part in the panel Conceptualizing the Future of Democracy: Combining Representation and Participatory Innovations. Mark Warren, Rainer Forst (Goethe-Universität, Frankfurt), Jane Mansbridge (Harvard University) and Anne Philipps (London School of Economics and Political Science) are all experts in their fields and have been looking at democracy for a long time now. While they all agree that we have to change something about the way in which we participate in democracy, they have different approaches with different emphases. Mark Warren says that the next step towards combining representation and participation is to do more „barefoot“ political theory. To advance newer democratic innovations, he together with Archon Fung (Harvard University) founded participedia, a website on which democratic innovations are crowdsourced. Rainer Forst advocates for transnational solutions. He thinks that the crisis democracy is faced with is a justification crisis and that transnational parties could solve this as they are „a major form of combining representation and participation“. The challenge they face is to find common interests among the people; according to Forst the „essence of democracy“. On the other hand, Jane Mansbridge claims that a system of recursive interaction as an ideal would be best for democracy. As an example she mentions townhalls which she considers very effective: if there was a system where randomly selected constituents spoke to their representatives on important topics, the idea of a direct democracy would be more included in an indirect democracy. However, this recursive interaction doesn’t necessarily mean that the constituents are all approached individually; Mansbridge says that parties play a very big role in bringing like-minded people together and forming political opinions. To overcome our differences, we have to understand the deeper interests of the people we negotiate with and maybe we can compromise on these rather than the actual demands (e.g. when someone is against immigration, maybe the underlying reason are economic fears which could maybe be solved in accord with immigration). Anne Phillips feels like this is a good idea but that, also through social media, „people have lost the ability to listen“. In her opinion, alternative devices of democracy lack resilience. And if, compared to the economic power, democracy is very feeble, this would mean a further weakening of democracy. All in all, the panel gave some really interesting insight into why democracy is in a crisis right now and what we have to do to make this situation better and save democracy as a whole. Below is the address for my most recent publication. An abstract precedes it. I have been working in this area for my entire career and tried to make some arguments about the nature of ethnicity and some relationships between ethnicity and communication. I emphasize the word “building” in the title because I intended the article to contribute to the development of theory rather than stand alone staking a theoretical claim. I hope it stands as a contribution to both conflict theory, ethnicity, conflict management, and identity. Coherent theoretical development of theories of ethnopolitical conflict has been slow and scattered. Moreover, the role of communication has been seriously neglected. I theorize ethnopolitical conflict along two dimensions: the level in which the conflict is entered (macro state-level, mid civil society level, and individual level) and the type of communication most characteristic of the level (bargaining and negotiation, intergroup relations and intercultural communication, identity theories and deliberative processes). Additionally, the article makes the case for a social constructionist perspective on ethnicity, and develops a relationship between communication and ethnopolitical conflict. Finally, theories of communication are posed as mediators of social systems that couple the communication systems of two conflictive groups in order for them to increase commensurability. The below is from the Jewish News Service (August 31, 2018). It is an important issue with respect to future treatment of Israel’s minority groups and diverse populations. Israel must reassure the Jewish nature of the state (thus the nation-state law), but it cannot disadvantage and alienate its minority populations. The Druze are very good example of this because they are so supportive of the state. The issues below will continue to reverberate throughout the discussion. Israel’s minorities are expressing concern because they perceive the new law as favoritism for Jewish citizens at their expense. (August 30, 2018 / JNS) Israel’s new nation-state law that passed last month has caused a great deal of controversy, particularly with Israel’s minorities and, in what came as a surprise to many, the largely pro-Israel Druze community. Israel’s minorities are upset because they perceive the wording as favoritism for Jews at their expense. Israeli Prime Minister Benjamin Netanyahu has tried to tamp down tensions and come to a solution since the passing of the law by meeting with Druze leaders, but the tensions and bad feelings remain. That was capped off by a Saturday-night rally in Tel Aviv on Aug. 4 that highlighted some of the community’s major concerns. 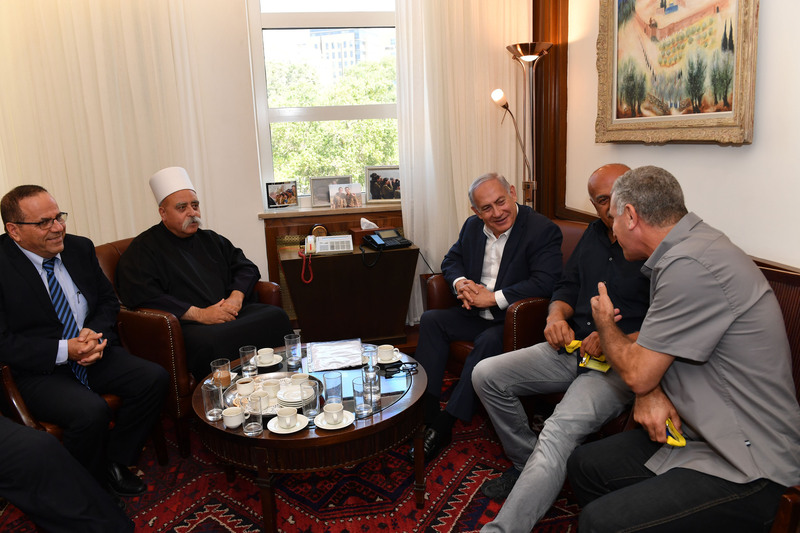 Israeli Prime Minister Benjamin Netanyahu meets with the leader of the Druze community in Israel, Sheikh Mowafaq Tarif (second from left), at the Prime Minister’s Office in Jerusalem on July 27, 2018. Photo by Kobi Gideon/GPO. The prime minister and supporters of the new law see it as necessary to maintain the Jewish character of the state as it continues to come under attack by the activist liberal High Court, the Palestinians and Arab-Israeli citizens, foreign-funded NGOs, BDS groups, international media outlets, foreign governments, and left-wing and Arab political activists and parties that want to implement a version of U.S. democracy, detaching the state from its Jewishness. 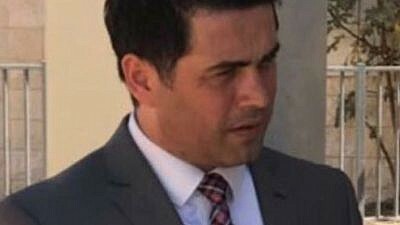 Dolan Abu Saleh, the mayor of Majdal al-Shams, a Druze town located in the Golan Heights, told JNS that in his estimate, more than 90 percent of the Druze are against this law. “It is not only Druze, but other minorities are against it. Even if the state fixes the law to appease the Druze, it still will remain a problem since it needs amending for all minorities,” said the mayor. The Druze faith is an esoteric offshoot of Shia Ismaili Islam that does not allow conversion into or out of the religion. Today, Israel is home to a significant and influential Druze minority, who unlike Muslim Arabs, are drafted and proudly serve in the Israeli military, police and government. Roughly 150,000 Jews, less than 2 percent of Israel’s population, live mainly in northern Israel in the Galilee, Carmel and Golan Heights regions. For minority groups like the Druze, who have experienced centuries of persecution under Muslim rule in the Middle East, there is a general anxiety over the new nation-state law that promotes the Jewish character of Israel. According to the law, “Israel is the historic homeland of the Jewish people, and they have an exclusive right to national self-determination in it.” Arabic is demoted from an official language alongside Hebrew to one with a “special status.” Another feature is the promotion of Jewish settlement in the land. While much of the law is symbolic, minorities are worried that it will have practical applications. Abu Saleh went on to argue that the law would limit the authority of the High Court in Israel when it comes to minorities. 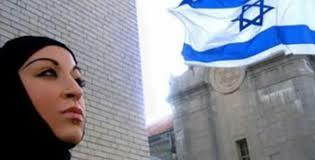 “Jewish extremists,” for example, could mobilize against a minority city on a land issue for example, and the state could cite this law in order to act in favor of the Jews, he asserted. Before this law, there was a “positive feeling,” continued Dolan, describing relations between Druze and the Jewish majority. “I very much want that Israel remains a state for all its citizens, and I know that this law will hurt first the state itself, and has the potential to increase cause conflict between Jews and minorities,” said the Druze leader. Asked what a possible solution, he replied that the law needs to be revoked. “The potential for internal conflict will grow” if it stays in place, he opined. 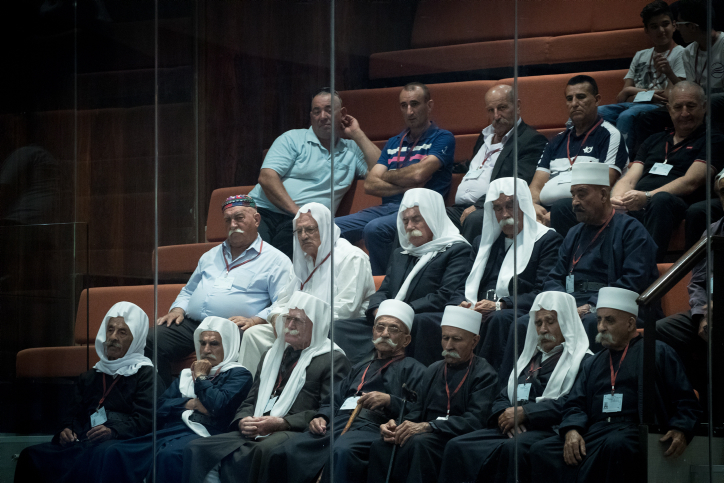 Members of the Druze community attend a special Plenary Hall session about Israel’s new nation-state law at the Knesset in Jerusalem on Aug. 8, 2018. Photo by Yonatan Sindel/Flash90. The law has also touched a nerve in the Jewish sector, with some feeling that the Druze are being ungrateful. Some supporters of the bill see the Druze opposition as misplaced since in the end it will not change anything for them on the ground or in any practical way. “Already there are proposals to replace the flag and the anthem in the name of equality, as it were. There is opposition to the idea of a nation-state in many countries, but first of all in the State of Israel, something that undermines the foundation of our existence, and therefore, the attacks emanating from left-wing circles that define themselves as Zionist are absurd and expose the nadir to which the left has sunk,” added the prime minister. The main issue not being addressed: that Israel is an ethnic state, like others in Europe, based on a dominant ethnic group and or religion. This leads to a situation where minorities can feel that they are playing second fiddle to the majority culture. The root of the Druze objection to the law is that they seek a U.S.-style democracy that does not explicitly endorse a specific religion or ethnic group, whereas the Jewish majority does want a Jewish state. Yet some pro-Israel minorities support the new law. Capt. (res.) Shadi Haloul, head of the Israeli Christian Aramaic Association who also runs a pre-military preparatory program for Jews and the Christian Arabs, said approved, stating it actually cements the rights of minorities. Still, for many Druze, it appears that such arguments are not swaying them at the moment. 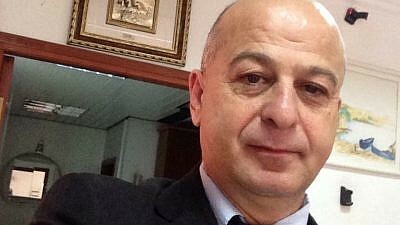 Jamal Kheir, the owner of a hotel in Peki’in, a mainly Druze village in the north near Beit Shean, told JNS in an interview that the concern in the Druze community is real. He concurred with Abu Saleh’s assessment that more than 90 percent of Druze oppose the law. “The Druze are not upset about what is written in the law, but what is not written in it. There needs to be a special place for the Druze,” said Kheir. “We helped the Jews when they were weak, before the state even existed,” exclaimed Kheir. “For the Arabs we are traitors,” he said, “and for the Jews we have become Arabs. And this bugs us. After the Palestinians Reject Trump’s Peace Plan, Then What? We need congressional action to cure our body politic as much as we need it for our moral health. The justices have agreed to decide if federal employment law covers discrimination against L.G.B.T. members of the work force. A party that no longer believes in American values. As a tech journalist, I’m ashamed to admit it. But this is how bad the situation has gotten. Keeping Trump in office will destroy the Republican Party.